Farmers in the Playground digging in the Evergreen Heights garden. Credit: Kelli Ebbs. Are you looking for evidence that shows the benefits of good food education for children and youth? You’ll find a number of studies, quotes and references below. Are there studies that you know about that are missing? Please get in touch with us to add to our list. In May 2014 the University of Guelph’s Research Shop published a literature review of evidence that supports the impacts of good food education for children and youth, along with a summary of what was discovered. The general findings were that, while there is much documented evidence from outside of Canada, more research is needed to explore the impacts of the education programs that are happening here in Ontario. The following direct quotes have been excerpted from the studies and reports that were explored over the course of the literature review. Some quotes have more than one reference. The direct quote has been taken from the first reference in all cases. Subsequent references contain the same information, but used different words to describe it. Many of these quotes are included in the Research Shop document; however, many others have since been added. We hope that this page will provide an ongoing collection of the impacts of this work. ** Note that the full references are listed below the table in alphabetical order. Aftosmes, A. (2011). Impact of Farm-to-School programs: A research brief to the Massachusetts Food Policy council. The Harvard Clinical and Translational Science Centre, 1-10. Baker, L., Campsie, P., & Rabinowicz, K. (2010). 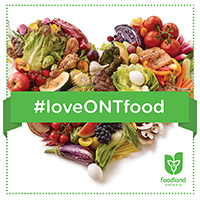 Menu 2020: Ten good food ideas for Ontario. George Cedric Metcalf Charitable Foundation: Toronto, Canada. Bell, A. C. & Dyment, J.E. (2008). Grounds for health: The intersection of green school grounds and health-promoting schools. Environmental Education Research 14(1), 77-90. Block, K., Gibbs L., Staiger, P.K., Gold, L., Johnson, B., Macfarlane S., Long, C. & Townsend, M. (2012). Growing community: The impact of the Stephanie Alexander Kitchen Garden Program on the social and learning environment in primary schools.”Health Education & Behaviour 39(4), 419-432. Canadian Restaurant and Foodservices Association (CRFA). (2010). Foodservice Facts 2010. Carlsson, L. & Williams, P.L. (2008). New approaches to the health promoting school: participation in sustainable food systems. Journal of Hunger & Environmental Nutrition 3(4), 400-417. Centers for Disease Control and Prevention. (1996). Guidelines for School health programs to promote lifelong healthy eating.”Morbidity and Mortality Weekly Report 45(RR-9), 1-42. Chu Y.L., Farmer, A., Fung, C., Kuhle, S., & Veugelers, P.J. (2013). Involvement in home meal preparation is associated with food preference and self-efficacy among Canadian children. Public Health Nutrition 16,108-112. Derscheid, L.E., Umoren, J., Kim, S., Henry, B.W. & Zittel, L.L. (2010). Early childhood teachers’ and staff members’ perceptions of nutrition and physical activity practices for preschoolers. Journal of Research in Childhood Education 24, 248-265. Downs, S.M., Arnold, A., Marshall, D., McCargar, Linda J., Raine, K.D. & Willows, N.D. (2009). Associations among the food environment, diet quality and weight status in Cree children in Québec. Public Health Nutrition 12(9), 1504-1511. Dubois, L., Farmer, A., Girard, M., Burnier, D. & Porcherie, M. (2011). Demographic and socio-economic factors related to food intake and adherence to nutritional recommendations in a cohort of pre-school children. Public Heath Nutrition 14(6), 1096-1104. Dyment, J.E. & Anne, C.B. (2007). Active by Design: Promoting Physical Activity through School ground Greening. Children’s Geographies 5(4), 463-477. Food and Agriculture Organization (FAO). (2010). A new deal for school gardens. Document prepared by Muehlhoff, E. & Boutrif, E. Nutrition and Consumer Protection Division. FAO, Rome. Food Banks Canada. (2012). Hunger Count 2012: A comprehensive report on hunger and food bank use in Canada, and recommendations for change. Toronto: Food Banks Canada. Foster, G.D., Sherman, S., Borradaile, K.E., Grundy, K.M., Vander Veur, S.S., Nachmani, J., Karpyn, A., Kumanyika, S., and Shults, J. (2008). A policy-based school intervention to prevent overweight and obesity. American Academy of Pediatrics 121, e794-e802. Freedman D.S., Dietz, W.H., Srinivasan, S.R. & Berenson, G.S. (2009). Risk factors and adult body mass index among overweight children: the Bogalusa Heart Study. Pediatrics 123(3), 750-7. Gates, M., Hanning, R.M., Gates, A., Isogai, A., Tsuji, L.J.S. & Metatawabin, J. (2013a). A pilot comprehensive school nutrition program improves knowledge and intentions for intake of milk and milk alternatives among youth in a remote first nation. Journal of Nutrition Education and Behavior 45(5), 455-459. Gates, M., Hanning, R. M., Gates, A., McCarthy, D.D., & Tsuji, L.J.S. (2013b). Assessing the impacts of pilot school snack programs on milk and alternatives intake in 2 remote First Nation Communities in northern Ontario, Canada. Journal of School Health 83(2): 69-76. Graham, H., Beall, D.L., Lussies, M., McLaughlin, P. & Zidenberg-Cherr, S. (2005). Use of school gardens in academic instruction. Journal of Nutrition Education and Behavior 37: 147-151. He, M., Beynon, C., Sangster Bouck, M., Onge, R., Stewart, S., Khoshaba, L. & Lemieux, S. (2007). Northern fruit and vegetable pilot program: Final report. London, Ontario: Middlesex-London Health Unit. Health Canada. (2012). Healthy eating after school: Integrating healthy eating into after-school physical activity initiatives. Ministry of Health. Healthy Kids Panel. (2013). No time to wait: The healthy kids strategy. Queen’s Printer for Ontario: Toronto, Ontario. Henderson, T., Rader, M., Sorte, B,, Ratcliffe, M.M., Lawrence, A., Lucky, J., & Harris, C. (2011). Health impact assessment: Oregon Farm to School and School Garden Policy. HB2800, Upstream Public Health and the Health Impact Project. Herman, K.M., Craig, C.L., Gauvin, L., & Katzmarzyk, P.T. (2009). Tracking of obesity and physical activity from childhood to adulthood: the Physical Activity Longitudinal Study. International Journal of Pediatric Obesity 4(4),281-8. Katzmarzyk, P.T. (2011). The economic costs associated with physical inactivity and obesity in Ontario. The Health and Fitness Journal of Canada 4(4),31-40. Keller, H.H., Hedley, M., Hedley, T., Wong, S., & Vanderkooy P. (2005). Food workshops, nutrition education and older adults: A process evaluation. Journal of Nutrition for the Elderly 24(3), 5-23. Klemmer, C.D., Waliczek, T.M., & Zajicek, J.M. (2005). Growing minds: The effect of a school gardening program on the science achievement of elementary students. HortTechnology 15(3), 448-452. Kranz S., & Siega-Riz, A.M. (2002). Sociodemographic determinants of added sugar intake in preschoolers 2 to 5 years old. Journal of Pediatrics 140(6), 667–672. Langellotto, G. A., & Gupta, A. (2012). Gardening increases vegetable consumption in school-aged children: A meta-analytical synthesis. HorTechnology 22(4), 430-445. Le Petit C., & Berthelot, J.M. (2012). Obesity: A growing issue. Statistics Canada Catalogue no. 82-618-MWE2005003. Lieberman, G.A., & Hoody, L. (1998). Closing the achievement gap: using the environment as an integrating context for learning.Sacramento. CA: CA State Education and Environment Roundtable. Ministry of Health Promotion. (2006). Ontario’s action plan: For healthy eating and active living. Queen’s Printer for Ontario: Toronto, Canada. Ministry of Health Promotion. (2010). School health: Guidance document. Queen’s Printer for Ontario: Toronto, Canada. McPhail, D., Chapman, G.E. & Beagan, B.L. (2013). The rural and the rotund? A critical interpretation of food deserts and rural adolescent obesity in the Canadian context. Health and Place 22, 132-139. Must, A., Barish, E.E. & Bandini, L.G. (2009). Modifiable risk factors in relation to changes in BMI and fatness: what have we learned from prospective studies of school aged children? International Journal of Obesity 33(7),705-715. Olshansky, S.J., Passaro, D.J., Hershow, R.C., Layden, J., Carnes, B.A., Brody, J., Hayflick, L., Butler, R.N., Allison, D.B., & Ludwig, D.S. (2005). A potential decline in life expectancy in the United States in the 21st century. New England Journal of Medicine 352,1138–1145. Ontario Agency for Health Protection and Promotion (Public Health Ontario). (2013). Addressing obesity in children and youth: Evidence to guide action for Ontario. Queen’s Printer for Ontario: Toronto, Canada. Ozer, E. J. (2007). The effects of school gardens on students and schools: Conceptualization and considerations for maximizing healthy development. Health Education Behavior 34(6), 846–863. Ratcliffe, M.M., Merrigan, K.A., Rogers, B.L., & Goldberg, J.P. (2011). The effects of school garden experiences on middle school-aged students’ knowledge, attitudes and behaviors associated with vegetable consumption. Health Promotion Practice 12(1), 36-43. Roberts K.C., Shields, M., De Groh, M.,, Aziz, A., & Gilbert, J.A. (2012). Overweight and obesity in children and adolescents: results from the 2009 to 2011 Canadian Health Measures Survey. Health Reports 23(3),37-41. Rosenkranz R.R., & Dzewaltowski, D.A. (2008). Model of the home food environment pertaining to childhood obesity. Nutrition Reviews 66(3),123-140. Rossiter, M., Glanville, T., Taylor, J., & Blum, I. (2007). School food practices of prospective teachers. Journal of School Health 77(10), 694-700. Rossiter, M. D., Evers, S.E. & Pender, A.C. (2012). Adolescents’ diets do not comply with 2007 Canada’s food guide recommendations. Appetite 59, 668-672. Shields, M. (2006). Overweight and obesity among children and youth. Health Reports 17(3),27-42. Skelly, S. M. & Bradley, J.C. (2000). The important of school gardens as perceived by Florida elementary school teachers. HortTechnology 10(1), 229-231. Skinner, K., Hanning, R.M., Metatawabin, J., Martin, I.D. & Tsuji, L.J.S. (2012). Impact of a school snack program on the dietary intake of grade six to ten First Nation students living in a remote community in northern Ontario, Canada. Rural and Remote Health 12, 1-17. Slunner, W.M., Cumberland, W.G., Browdy, B.L. & Neumann, C. (2007). A school salad bar increases frequency of fruit and vegetable consumption among children living in low-income households. Public Health Nutrition, 10(12), 1490-1496. Smith, L. L., & Motsenbocke, C. (2005). Impact of hands-on science through school gardening in Louisiana Public Elementary Schools. HortTechnology15(3), 439-443. Sustain Ontario. (2012). Backgrounder on food literacy, student nutrition and food service in schools. Tan, M. & Pedretti, E. (2010) Negotiating the complexities of environmental education: A study of Ontario teachers. Canadian Journal of Science, Mathematics and Technology Education 10(1), 61-78. Unusan, N. (2007). Effects of a food and nutrition course on the self-reported knowledge and behavior of preschool teacher candidates. Early Childhood Education Journal 34(5), 323–327. Upitis, R., Hughes, S., and Peterson, A. (2013). 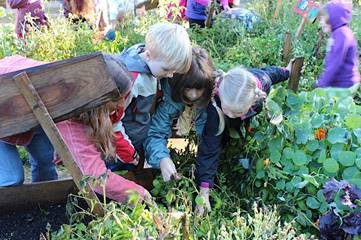 Promoting environmental stewardship through gardens: A case study of children’s views of an urban school garden program. Journal of the Canadian Association for Curriculum Studies 11(1), 92-135. Valaitis, R.F., Hanning, R.M. & Herrmann, I.S. (2013). Programme coordinators’ perceptions of strengths, weaknesses, opportunities and threats associated with school nutrition programmes. Public Health Nutrition, 1-10. Vinicor, F. (2004). Revised definition means millions more have pre-diabetes. News Release from the U.S. Department of Health and Human Services. Retrieved from: http://www.hhs.gov/news. Williams, D.R., & Dixon, P.S. (2013). Impact of garden-based learning on academic outcomes in schools: Synthesis of research between 1990 and 2010. Review of Education Research 83(2), 211-235. Woodruff, S. J., & Kirby, A.R. (2013). The associations among family meal frequency, food preparation frequency, self-efficacy for cooking and food preparation techniques in children and adolescents. Journal of Nutrition Education and Behaviour 45(4), 296-303.